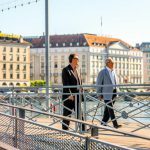 A recent study by Switzerland’s Federal Food Safety and Veterinary Office (FSVO) found that 43% of Switzerland’s population was overweight or obese. Of these 30% were overweight and 13% obese. This rate of obesity was the same as the global average in a 2014 study. 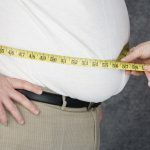 The research, which used the Body Mass Index (BMI) to measure levels of obesity and excess weight, found that men (56%) suffered more than women (31%), older people between 65 and 75 (58%) suffered more than those 18 to 29 (23%), and those from Italian-speaking Switzerland (46%), were more likely to carry excess weight than German (44%) or French-speakers (42%). 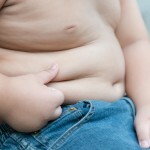 Similar BMI-based figures for the US show that 36% of those 20 and over are obese. A 2013 study places Switzerland 33rd in an OECD obesity ranking, well behind world obesity leaders, Mexico (1st), Iceland (2nd), USA (3rd), Chile (4th) and New Zealand (5th). In this comparison around 48% of Swiss were obese or overweight, a higher percentage than the 43% in the recent FSVO study. BMI looks at the relationship between height and weight (kg/m2). It does not look directly at body fat. Someone 1.8m tall weighing between 62kg and 81kg would be considered normal. Anyone of this height over 97kg would be deemed obese. The FSVO study also looked at diet make up. Here older people fared better. 55% of those between 65 and 75 ate three or more portions of fruit or vegetables per day compared to only 36% of those between 18 and 29. Overall, less than 10% were eating the recommended five or more daily portions. Those consuming the least were men aged 18 to 29. More than three quarters (76%) of this group ate two portions or less a day, with only 5% eating the recommended five or more.